Time for annihilation of your foe: White Spy! 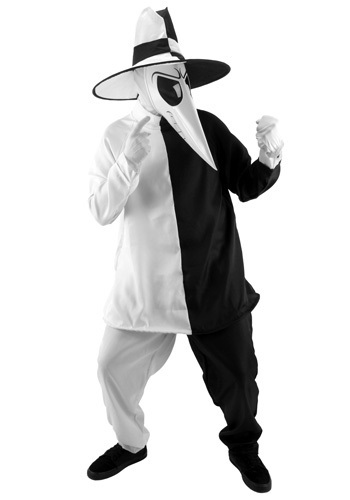 Go after your ach nemesis in this Adult Black Spy vs Spy Costume. Play the dirtiest tricks and create the best booby traps to try and stop him! If you were a fan of MAD TV and the comic books, you will enjoy wearing this cool and unique costume! 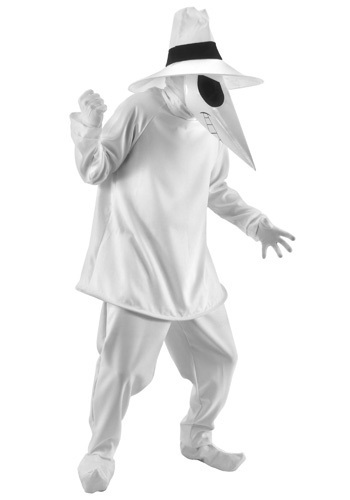 Become half of the crazy duo with this Adult White Spy vs Spy Costume. Plan some sneaky booby traps for your nemesis, black spy! If you were a fan of MAD TV and the MAD magazine this is the perfect costume for you. Get your friend the black spy costume so you can play tricks on each other all night! Try to outwit the White Spy once you're using this Black Spy vs. Spy Accessory Kit by any means necessary. We're talking bombs, heavy furniture, and if you're interested poisonous gases. Hey, they didn't label you one of the MADest spies for nothing! Time to have the best of both sides when you dress in this Deluxe Black and White Spy Costume. If you were a fan of the MAD TV show and the comics, this is the perfect costume for you. Play tricks and create chaos as both the white and black spy!